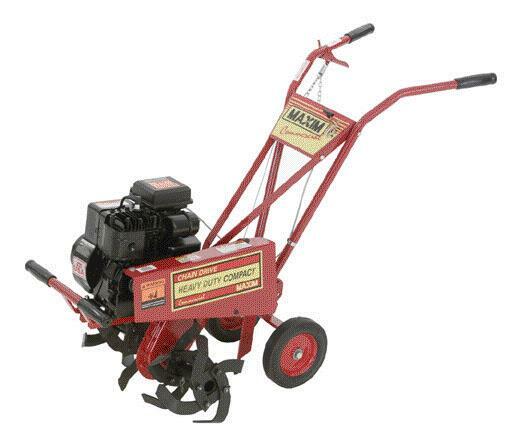 Mix, Till, and Dig with Maxim's Commercial Compact Tiller. With Maxim's smallest serviceable roller chain and sprocket transmission, the tines (approximately 150 rpm) can really throw dirt. The commercial compact boasts these great features: Braced, 14 gauge, seamless tubular steel handles. * Please call us with any questions about our tiller 3 4hp rentals in Tulsa OK and neighboring communities in Northeastern Oklahoma.